You’ve probably noticed that perfect eyelashes these days are as important as having your brows on fleek. False eyelashes are hot property and can be purchased at just about every price point. Some are made out of human hair, others might be synthetic, and a few brands are now crafting theirs from mink fur. To untrained eyes, it can be difficult to choose one set of lashes over another, since they all begin to look the same, don’t they? But in reality, you can get all different kinds for all types of occasions, and, of course, quality plays a big role. Lilly Lashes launched an exclusive line for Sephora as part of a collaboration called the Lilly Lashes for Sephora Collection. 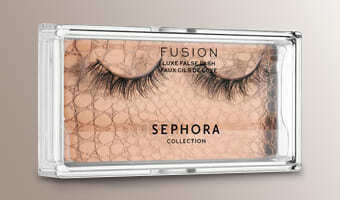 It includes a selection of four styles of cruelty-free 3D mink lashes by Sephora and Lilly. These four styles feature two of Lilly’s best sellers – Mykonos and Miami – and two exclusive styles: Paris and Rome. Each of them is lightweight and sits perfectly on the lashline to ensure comfortable, all-day wear. Expect a flirty, fluffy finish that is created by the interlacing ‘V’ shaped lash clusters that this dramatic volume lash features. Multidimensional and extra wispy to create an ultra-glam look (also with dramatic volume). From JLo to Kim K and Lady Gaga, some of the hottest celebrities in Hollywood have been spotted wearing this style. Wispy and crosshatched design that accentuates all eye shapes and blends perfectly with the natural lashes for a flawless finish (full volume lash). Ranges in depth and length to add volume and flare (dramatic volume). 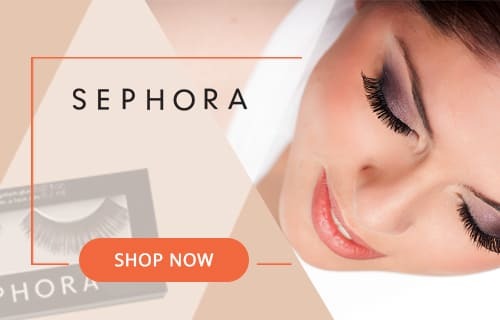 The Lilly Lashes collection for Sephora is a dramatic and stunning selection of falsies designed to blend in effortlessly with your own lashes for a natural yet glammed-out look, even when selecting the most dramatic of all the false lash Sephora styles. These Lilly Lashes were designed by the renowned Lilly Ghalichi and have become favored by celebrities, makeup artists, and beauty fanatics globally. They’re made specifically to generate an elegant look for both day and night wear. The Sephora false eyelashes collection features 16 different designs to produce a variety of effects, from natural-looking to full and dramatic. From ultra-thick to fabulously feminine and whimsical, these false lashes by Sephora build volume, add length, and make your eyes pop. Created to give three different flared looks, these are super soft individual lashes by Sephora that will allow you to customize your look one lash at a time. Made with natural fibers, these lashes provide natural-looking volume and enhance the size of your eyes. They are beautifully organic in volume and color. Get the look of individual lashes without lots of required effort with these lashes, which can be easily worn without liner or mascara. Also made with natural fibers, these create a dramatic look that will give the appearance of deep-set and almond-shaped eyes. Another style made with natural fibers, these add texture, length, and volume for somewhat of a wispy look. Comfortable to wear and great for a fancy event (but still natural-looking, of course). The Sephora lashes hipster style are long, angled falsies created to add volume and length for a voluminous look. A sultry, eye-opening effect created by a full-volume set and a dense midsection. Made with natural fibers and evenly dispersed, dense lashes, this set is sure to create an all-around full look. Also made with natural fibers, these lightly layered, full lashes ensure a natural-looking finish. Made with natural fibers, this set adds wispy volume to the lash line. Delivers dramatic length and volume to give the appearance of a more open eye. Another of the Sephora lashes mink style, these are made with synthetic fibers and give eye dimension using the feathered and layered criss-cross pattern. The perfect combination of curled ends, wispy fibers, and a crisscrossed finish for a high-impact look. The Luxe False Lashes are a set of high-quality lashes that have been made from incredibly soft and natural hair for easy application, comfortable wear, and an earthy look. This collection includes six different styles that have been created to add fullness and length to the lashes. They look and feel real, and these falsies have been handmade to ensure a lash that is soft and fluffy in texture. A medium-length crisscrossed lash that offers a natural look. Lengthening, but still natural lash with an even and wispy finish. As the name suggests, this graduated, medium length lash is layered densely on the outer corners adding just enough emphasis to highlight your eyes. This is perfect for anyone looking for all-out volume and length to create a dramatic finish. Ideal for anyone who wants to fill in sparse lashes and make their eyes appear bigger and lashes appear longer. Looking for a fuller lash with slightly tapered inner and outer corners? Amour is the one for you. The longest length of this lash is in the center, for added fullness and bigger, brighter eyes. The Luxe Silk collection features a range of fabulous lashes designed for every eye shape. This set of lashes is made from incredibly soft, natural fibers. With proper care you can reuse these at least 20 times – the anti-stick band increases the number of uses, and it’s easy to clean. They’re very lightweight, easy-to-apply, and comfortable to wear. These have been designed to enhance the eyes by adding a subtle amount of volume, fullness, and length, which makes them look and feel real. With a subtle amount of length and volume, you can create a fuller appearance by enhancing the eyes. These are perfect for a beautiful daytime look without overdoing it. Layered with wispy silk fibers, these voluminous lashes are lightweight yet still add drama. They have added length on the outer corners. This style offers natural, flirty, fluttery looks with more volume and length at the center, providing an eye-opening effect. The #MOOD false lash vault is a set of eight Sephora Collection false lashes, featuring styles that range from natural to full to dramatic. Do you feel daring, fearless, free, or maybe flirtatious? With this collection you can let everyone know your #mood of the day by choosing one of these eight exclusive styles, depending on how you feel. Each of these sets of lashes is beautifully crafted to blend in with your natural lash. The set also comes with a 4 ml vial of lash glue. False Lash Fringe #04: Perfect for a full look with added texture, length, and volume for a slightly wispy look. False Lash Astonish #03: These create a dramatic look that gives the appearance of deep-set and almond shaped eyes. False Lash Hipster #20: Long, angled lashes that create volume and length for a tousled finish. This set of full, fluttering fake lashes from Sephora makes for a subtle accent of color by adding a little extra pop to your eye. It adds length and volume to create an eye-opening effect. 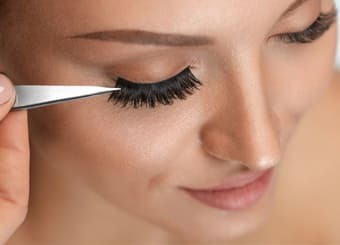 Easy application is made possible by the flexible band, and if the lashes don’t quite fit, you can simply trim the excess from the outer corner. 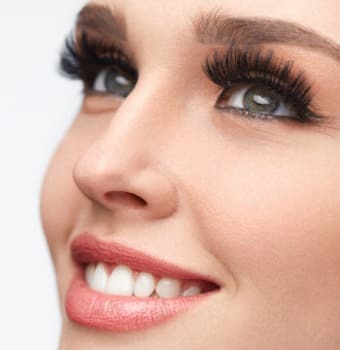 There are two options as part of the colored false eyelashes selection: Garnet, which is a fun burgundy color, or topaz, which is a trendy navy color pop. It’s important to note that this set only includes the lashes; glue will have to be bought separately. This set includes a pair of Fringe false lashes and a lash adhesive in a reusable hard-sided case with a mirror. The case is wrapped in a stunning rose gold glitter fabric. You can now take your lashes and glue with you everywhere you go, thanks to this nifty little set. The fringe lashes are elegant with a fun and innovative design that instantly adds glamour to any look. They add length, texture, and volume for a perfectly wispy look. These lashes are easy to apply and super comfortable to wear thanks to the latex-free lash adhesive that has been formulated with ingredients that make application quick, easy, long-lasting, and flawless. The case is designed to hold any pair of lashes stylishly and securely so that they are kept neatly out of harm’s way. The mirror inside is ideal for on-the-go lash application and touch-ups. The Sephora Bulls Eye Lash Applicator is a tweezer-like tool that has been designed to make applying those lashes by Sephora precise and easy. The fitted metal applicator has been rubberized throughout to give good grip. You can apply your lashes in a snap with this snazzy tool, which is perfect for both the novice lash connoisseur and the pro. The resting area: You can hold the applicator with your fingers in the area where the word “Sephora” appears. The wider area will allow you to hold in comfortably. The pusher: The triangle side of the applicator is shaped like the end of typical tweezers but is much larger in size. It enables you to push the lashes as close to the lash line as possible. It can also be used to press down the end of the lashes to the lash line. This is the perfect tool for people who are scared to apply false lashes with tweezers or those who find applying them with their fingers too messy. Positioning false lashes is effortless thanks to the slim curve of the applicator – you will be able to see exactly what you are doing in the mirror without your fingers blocking the view. It also helps you to place the lashes quickly, accurately, and right where you want them. Also included in this set is 0.27 oz/ 8 ml false eyelash sanitizing mist and a lash cleaning tool. Step 1: Place eyelashes on a paper towel and spray sanitizing mist one to three times from four inches away. Step 2: Using the tool, you can gently stroke along the lash band until the adhesive softens. Step 3: Remove the residue with tweezers or fingers and place clean lashes back into the lash pan. This set is the perfect way to help extend the life of false lashes and revitalize your lash look. Fast drying and easy to use, this kit will help you to clean, condition, and sanitize reusable false lashes. The lash tool and cleaning spray work together to remove old glue, bacteria, and residue. 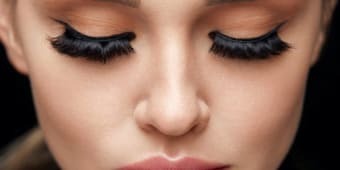 Not all fake lashes are made equal, so it’s worth knowing what will give you unbelievable natural look and what will make your lashes look like a set of beautifully fluttering butterfly wings. Just like you would choose a hairstyle according to face shape, you should be doing the same with your fake lashes. Here are a few things that you need to consider for the best lashes Sephora that will work for you. The first step is to determine your eye shape. Get a good look in the mirror and observe the small things, like whether you have double-lidded or mono; whether they slant downward or upward at the corners; if the entire iris is visible or partially obscured by the eyelids, and also how much space there is between your eyes. For instance, with round eyes, you are able to see most of the iris. Curlier lashes are best to lift and enhance the curve of the top lid. Mono-lidded eyes are common among Asians – most of the skin covers the upper eyelid, and there’s no visible crease. For these types of eyes, multi-layered, fluttery falsies are best to open up the eyes. Almond eyes are slightly pointed at both ends, with a wider center, and the curve of the iris is hidden by the lower and upper lids. If you have almond eyes, you can consider yourself blessed because just about all styles of fake lashes will suit you. At the end of the day, the best fake lashes Sephora has to offer will depend on your eye shape and what “look” you are going for. But, there’s no denying that Sephora has some of the highest-quality fake lashes on the market. although I like Sephora for a lot of reasons, I don’t feel like their shop offers enough variety when it comes to eyelashes. they have a couple of nice collabs but other than that its lacking. the lilly lashes collab with sephora is amazing for monolid eyes. super happy with my purchase. Flare is a really cool style and gives a little extra definition to my outer corners. Will purchase these again.